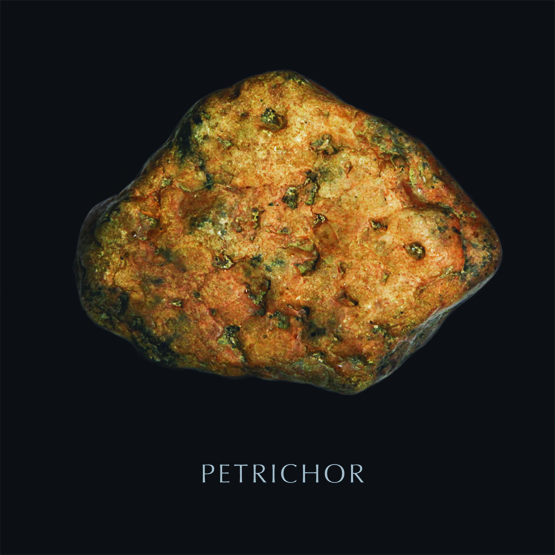 To use words as tools (in a similar way to the scanner I have been working with, or the 3D printer) that is how the word ‘petrichor’ has come into this project. It has moved things on, shaped the final direction I have taken; with it, things have been made. I first came across the concept in the writings of Richard Mabey, and although the word is used to describe ‘the scent of rain on dry earth’ (something that has been around these past weeks) what is pertinent here is the derivation: the word comes from the Greek words petra, meaning ‘stone’, and ichor, the fluid that flows in the veins of the gods in Greek mythology. 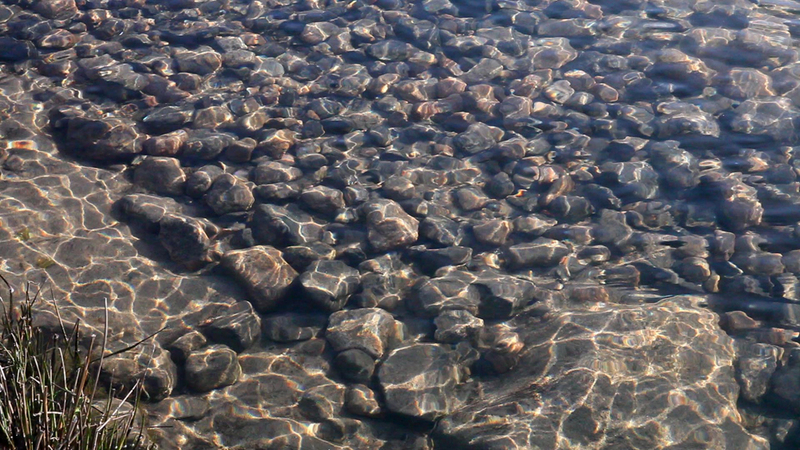 Petrichor, in other words, is ‘the essence of stone’. Faced with the warm colours of my chosen stone, of the green-red coding of the tranquillity map, of the Biosphere landscape as it has moved from spring into summer, the data in comparison seems colourless, the scanned stone present in the slightest of ways: joined-up dots in a virtual space. By this stage I am into the nitty-gritty of production. As usual when you are working with techniques that you haven’t used before, I am having to adapt and change my ideas as the material asserts its presence, refusing to do certain things that you had hoped possible, but at the same time offering new directions. 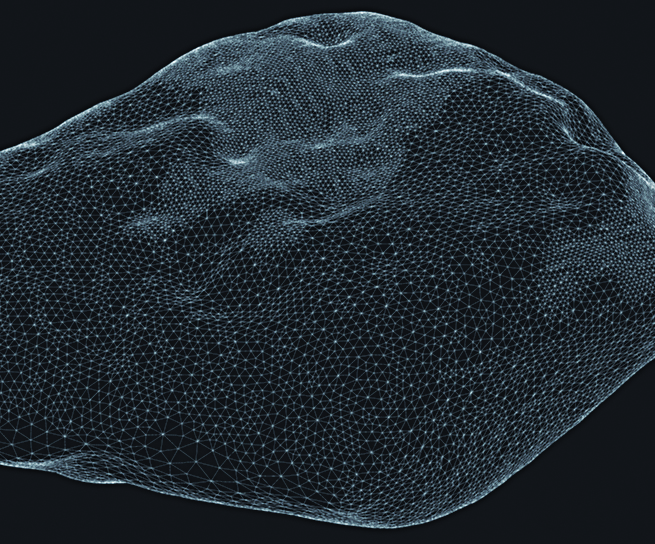 This is a scan of the stone made by a small desktop scanner. 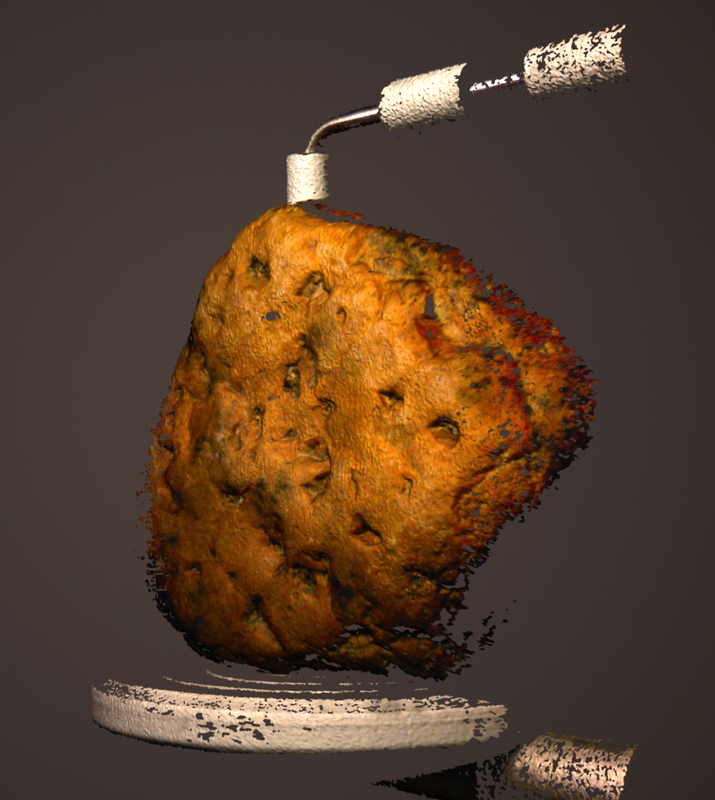 About the size of a coffee maker, this 3D scanner took less than a hour to go right around the stone. 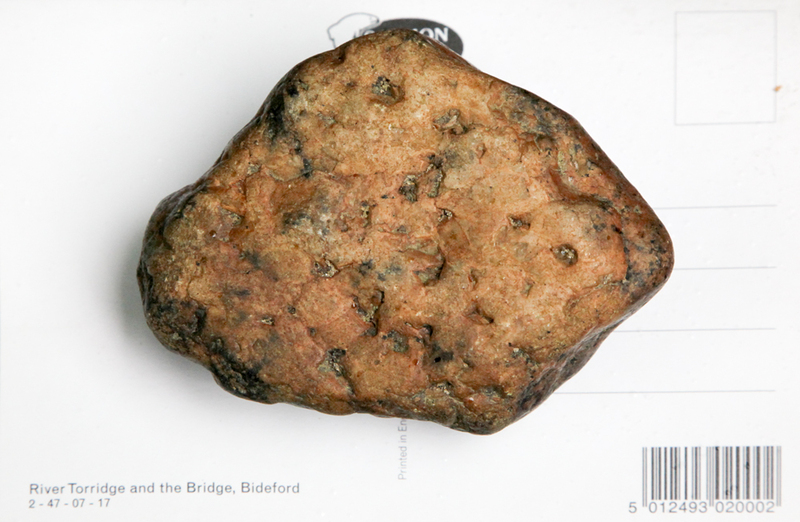 Here is one-eighth of the scan with a photo of the original stone wrapped around it. Thanks Musaab for your skill in keeping the scanner on track, also for the great coffee! This is the stone that I am putting through the process of being shaped by the data from my walks around the Torridge watershed. First it will be scanned, the computer model then made to respond to the changes recorded in my breathing, pulse and skin response as I walked through the landscape, and the result brought back into the real world in the form of a 3D printout. Much to do before the exhihibition which opens on the 8th June! Looking forward to meeting Musaab and his scanner later today. Yesterday I went back to the headwaters of the Torridge to select a stone for the place where I crossed the river on one of my monitored walks. What a change: last time I was hear the stepping stones across the river stuck out of the water, totally dry; this time I nearly got swept off! Not until you really look do you discover that there is a whole world in the shapes of those stones: the flashy ones, the beautiful ones, the solid ones, and the one I selected: old, knarled, could almost be a piece of weather-beaten wood, darkened on one side (the upper side) by all the things growing on it, and a warm clean yellow-brown beneath. It fits comfortably into my hand. On Monday I was kayaking in the pouring rain (with one of the other Confluence artists, Simon Warner, and Andy Bell of the Biosphere team), and it was difficult to tell whether the wetsuits were to protect us from rain or river. 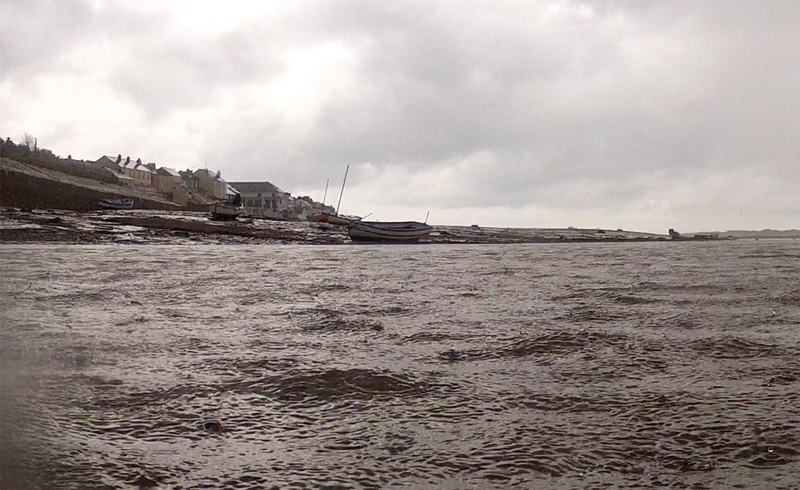 With a wind blowing down the estuary, we were trying to follow our floating camera and environmental monitoring equipment as it was carried upstream propelled by the rising tide. What a day! The time we got out (at a place called ‘Little America’) we were frozen, but an amazing day, and great to be out in the elements working on tidal time. Thanks Andy for all your help, and Sarah for the hot tea! Well, I think I expected too much of my ‘data walk’ on Dartmoor; but also being laden with body sensors, camera and sound recording equipment didn’t help. So dry and desolate up there (drought conditions not far away) with last years growth crunching under your feet. And I am still searching for a way of handling this data: in science, in order to collect data you have to know what you want, what you are looking for, and then design and refine the setup until you are pretty sure you are looking in the right place. But what I am after is something different, something more akin to observation; of using data to observe, and that cannot be predetermined. 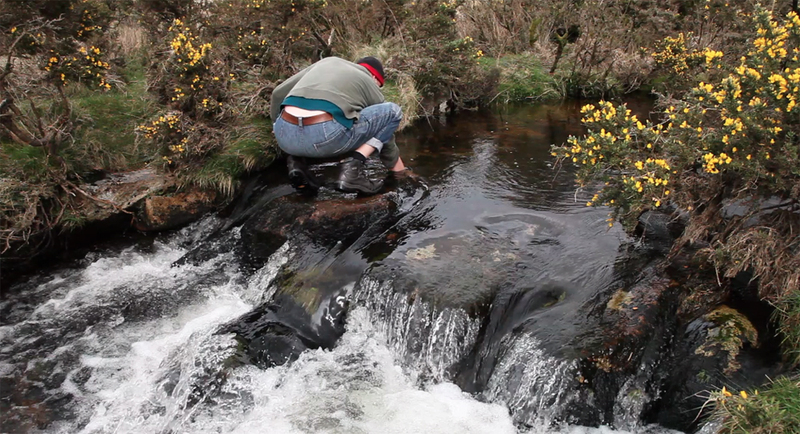 So I sat close to the source of the River Torridge and watched the riverbed. And all these thought reminded me of Annie Dillard’s short story, ‘Teaching a Stone to Talk’, in which she focusses on the need to observe, to watch, or in her terms, to witness. It is about the muteness of the world in the face of our need to ascribe meaning to it, and isn’t data just the latest way of trying to get the world to talk to us. On the tranquility map I posted earlier, where I was sitting is marked in dark green – ‘most tranquil’.